Put Your Child in a Dora, Diego or Spiderman DVD! Guaranteed Xmas Delivery! Head on over to Mamasource and you can create a personalized video featuring your child! 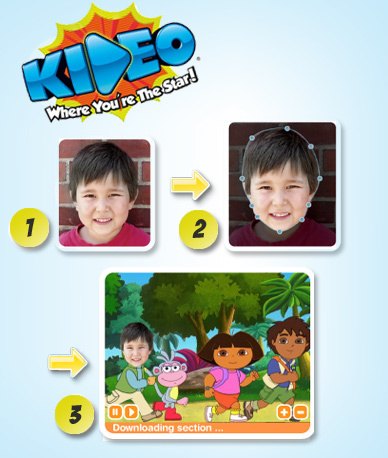 Let your child shine this holiday season with a personalized video from Kideo. They’ll have the starring role, alongside their favorite animated characters. Today’s deal gets you at least two videos for the price of one: choose two of their animated videos, upload your child’s photo, and they’ll create a custom production that’s sure to be a blockbuster hit at your house. Their video catalog includes popular characters like Dora the Explorer, Spiderman, Care Bears, and more. This deal regularly costs $60, but is on sale today for just $29. But if this is your first Mamasource purchase, you can save 10% using the code DEC10, making it only $26.10! If you order before Dec 12th, you'll get guaranteed Christmas delivery!